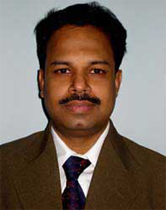 Dr. Santpure S.V. has completed his MS from GMC, Aurangabad in 1999. He has worked with prestigious hospitals like Bombay Hospital and Lilavati Hospital. He has worked with the best doctors such as Dr. Mullaji Maniyar, Dr.Anant Joshi, Dr.Johari, Dr.Tanna, Dr.Thackker, Dr.Ramnani etc. From 2001 to 2002, he was awarded with a fellowship at Baltimore, U.S.A. During his fellowship, he worked with international experts such as Dr. Dror Paley specialized in ilizarov, Dr. John Hazenberg expertise in pediatrics, Dr. Michael Mont specialized in joint replacement, Dr. Ponseti Ignacio expertise in club foot, Dr. Charles Tylor specialized in Taylor spatial frame and other medical experts. He has gained extensive knowledge, experience and training in various orthopedic problems and surgery. Dr. Santpure has also published papers on Validation of multiplier method of prediction of LLD, Study of extensive limb lengthening in achondroplasia, and has also papers submitted to MOACON to his fame. He constantly researches, attends conferences, meetings to update himself. Dr. Santpure has performed over 5000 successful surgeries since 2002. The team led by him combined with modern technology and a reliable staff has been able to save hundreds of lives. His expertise has helped people recover and get back to their normal life again. He keeps himself updated about various techniques so as to provide better facilities and treatments to his patients. Dr. Santpure also is one of the most renowned surgeons in India to perform Illizarov surgeries, knee, hip and shoulder partial and complete replacement surgeries. Dr. Santpure has successfully operated patients from around the globe from regions like the US, UK, Middle East, SAARC regions. He is known for his affordable knee replacement, hip replacement, knee surgery, hip surgery, knee replacement surgery, total hip surgery, total knee replacement surgery, partial knee replacement, joint replacement, orthopedic surgery. The hospital has multi-specialty units with 200 beds. Timing: 11 am to 5pm OPD. Criticare has changed its name to Asian-Criticare. This hospital will soon be 100 bed muti-specialty. Timing: 6pm to 7pm. OPD daily.